The JAMB 2014 Computer Based Test Examination date is getting nearer and we have received emails/calls from our loyal readers for “free CBT JAMB Practice Platform 2014”, We promised to provide platform for candidates to practice the Jamb CBT for free as not everyone can afford the paid JAMB CBT Practice option. For those who are not aware, the Jamb UTME 2014 CBT Examination has been scheduled to begin on the 17th of May, 2014 to the end of May. And Jambites still have a lot of time to practice with the CBT platform. Important Reading: The Candidates who participated in the Jamb PPT Examination, the result has been released and they can only check their result with the Jamb e-Bundle Scratch card. Note: When you purchased your Jamb 2014 Form, Jamb provides a Disc that will show you how the examination will look likes to avoid surprises. Even if you have watched this Jamb CBT DVD, we urged you to PRACTICE this on a computer yourself. Free Online Practice Computer Based Test Platform To Prepare For CBT JAMB 2014 UTME – How it works. The free online 2014-2015 JAMB CBT practice portal will allocate 45 minutes for 50 questions just as it is done on the proper JAMB CBT examination. You just need to read the questions and select the proper answers and click on the “Next” button to goto the next question or “Skip” button to skip to the next question. When you must have answered the last question, you will see “Review” and “Finish” buttons. The review button will allow you to re-visit the questions you skipped. It will display all the numbers you skipped and you can select them and try to answer the question(s). Please take note that you are working with time. With the real Jamb CBT Exams, your PC/Laptop will shut down immediately the allocated time given to you elapsed. When you are through with the reviews, click on the “Finish” button and go to the next subject. (The same process of reading and answering questions applies to all the subjects). 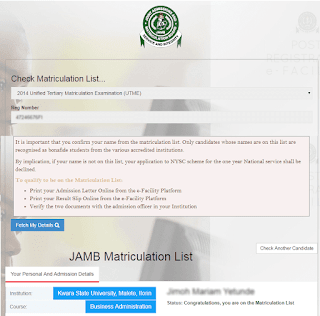 Step 2: When the webpage loads up, you will be required to enter your JAMB registration number and click on the “Start Tutorial” button to begin. You might want to try this free jamb cbt out. Step 1: To get started, CLICK HERE or HERE. Please share this info with our friends on twitter and Facebook. Like us on Facebook for more latest Jamb news. Please i have a problem with regards to regularization, can i get ur email address?